← Dan’s WRC Blog – New Era, Monte Or Bust? The World Rally Championships, is the most challenging and spectacular sport in the world. The scenery, the adventure and the atmosphere. It’s the people who make rallying so special. 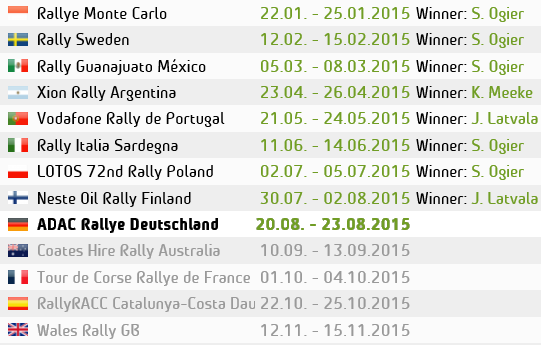 The WRC, and any other Rally event for that matter, is a spectators sport. That makes it our responsibility to protect it and protect ourselves. In my experience, rally fans are a rare breed of the kindest most friendly people, who travel the world and work hard so that we can all come together and share amazing experiences and the incredible passion that we have for Rallying. The thing I love most about Rallying, isn’t just the racing. It’s the amazing people and any event feels like the adventure of a life time. But in today’s health & safety strangled world, there isn’t much allowance for danger. And rightfully so. If at sporting events spectators are injured or seen in dangerous places, especially on live TV shown to the world. It set’s a very bad example and is not how any sport should be showcased. So it’s up to us to ensure these things don’t happen. Rally Marshals and organisers do a truly great job. But they can not cover every inch of the stages. They are however, all fellow rally fans. They are one of us. They are our leaders out on the stages and behind the scenes, who make these events happen. And as we are all respectful fans of our sport, we should also help them by, doing what they ask, and by warning other fellow fans of the dangers if we see that they are unaware of them and stand in ‘dangerous’ or ‘No Go’ areas. Respect what the marshalls, police or organisers tell us. If you want to watch a darts match, you don’t stand in front of the dart board or stand in the boxing ring to watch two heavy weights going at it. You do it from a safe distance! So why stand in front of the racing line or on the road that the cars are racing on. What are you expecting to happen if the brakes fail or the driver, who is already racing hard on and over the limit, makes a mistake. It’s just common sense. You don’t stand there! But some fans, maybe they are new to the sport and don’t understand these things, or they’re just a bit thick and need to be respectfully educated and told. – Standing on the outside of a corner is a big NO, no. – Don’t stand in an escape road. An escape road is the equivalent to a ‘run-off’ area on a race track. And should be clear at all times. – Stand in spectator areas only. Behind the tape. Our rally friends, the Marshall’s are trained and briefed to be able to tell us where to go and not to go. Listen to them, talk to them, ask them questions if your are unsure. And MOST importantly, have a great and safe time. This is all of our responsibility. To watch safely and tell fellow friends & fans to do the same. We don’t want anyone to be found in a difficult situation. We’re here to have fun. Much like a boxing match, you watch from the side lines. Not from inside the ring. If you are thinking about going to watch a live rally out on the stages, then give this official FIA/WRC fan safety Video a watch.